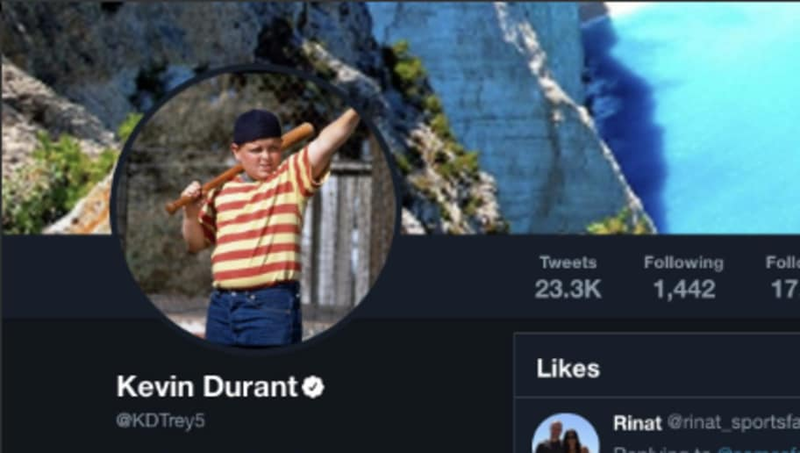 Warriors forward Kevin Durant didn't even use the burner account for this one. On Sunday, Durant liked a tweet that said "The media seems more about this than the actual team. Stop bothering him about it and let him leave in peace." Speculation regarding Durant's possible departure from Golden State has swirled since the two-time NBA Finals MVP got into it with teammate Draymond Green earlier this season, but this could confirm that KD has his eyes set elsewhere. Durant has been linked to the New York Knicks, a franchise that hasn't won a championship in 45 years. Some of the Knicks front office, namely GM Scott Perry, was there when the Seattle Supersonics drafted KD No. 2 overall back in 2007. Rich Kleiman, one of KD's business partners, has ties in New York and, after trading Kristaps Porzingis to the Mavs, New York can offer Durant something no other team can: his own franchise. Durant to the Knicks will certainly be something to monitor as we head towards summer 2019.